7 Saturday Night♪Ooh yeah Saturday Night 1.2.3.
colorcreation #カラクリ #Butterfly #album #FIRST PALETTE #立飛 #ららぽーと #リリースイベント #2019年3月30 #releaseevent #RIOSKE #浅沼亮介. 2019.03.21 release event . . . インスタLIVEの映像です。 . 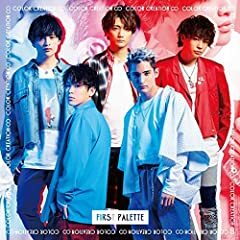 . . 1st album 『FIRST PALETTE 』5/22 release COLOR CREATION 新曲.